Yesterday I wrote about how Norwegian had changed their lounge access policy for Premium passengers, seemingly without notice. Specifically, Premium passengers would no longer receive lounge access, unless they had purchased a much more expensive PremiumFlex ticket. I noted that a passenger had been advised by Norwegian that although at the time they bought their ticket the lounge access was an advertised benefit, they would not be admitted access for their future flight because the flight was occurring after the rule change. Norwegian contacted us directly today, to clarify the changes to lounge access for Premium passengers, and there’s some good news. All passengers who booked a Premium fare before December 21, 2018, will still receive lounge access at eligible airports, regardless of the date of their flight. But passengers will have to collect a voucher from check in to be able to access the lounge, so if you are in this situation and travelling Hand Luggage Only, make sure you swing by Norwegian check-in to collect your invitation. Norwegian Premium customers will continue to receive exceptional value with class leading legroom, a superior cabin environment and high quality onboard service at affordable fares. Premium customers travelling on flexible tickets receive complimentary lounge access at selected airports in addition to all Premium bookings made before 21 December 2018, as per the original terms of their ticket. We continuously evaluate our product and service to ensure that we are meeting our customers’ expectations. 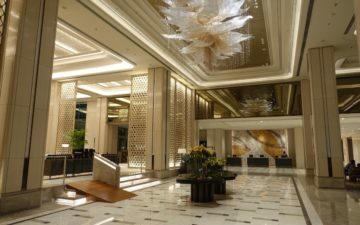 Just a reminder, lounge access is only before a long haul flight, not if you are connecting on to a short haul flight. I did find it strange that Norwegian told a passenger they would not honour lounge access benefits where it was an advertised benefit at the time of booking, so I am glad they have come out and clarified that they will honour these benefits. 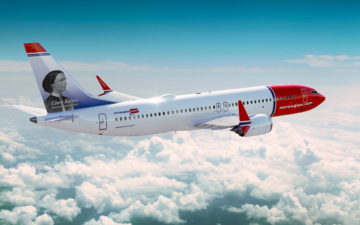 Norwegian has promised to reduce costs this year to improve its financial position, and this tightening of lounge access entitlements may be one of the first signs of this. I told you this 12 hours ago! Since they are moving some London flights to SFO from OAK….. think they will have a lounge there? Not a huge loss for those with Priority Pass or an Amex Plat – I think they have lounge access to the same or a similar-quality lounge at every airport except OAK (Plat only for Escape Lounge). Thanks James really helpful as flying to Buenos Aires in Premium in 3 weeks. I heard about the pay for booze change first and had online chat with Norwegian customer service last week who still said all beverages were included in premium, I have kept a record of that chat, but doubt it will make a difference. Booked our tickets 12 months ago which was probably a mistake with Norwegian anyway as they have reduced prices twice since…now a reduction in the as advertised product we paid for. Sounds like the lounge access will be honoured and I will see if they can be moved on the pay for booze policy change on check in or onboard. Sorry for delay in updating… we flew to Buenos Aires and back in premium on Norwegian in February (booked well before changes). On check in at LGW, without asking, we were provided with Fast track and Lounge access…tick! 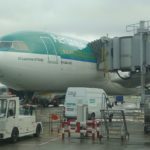 On boarding I had a quiet word with the Purser, who looked at the record of the online conversation I’d had with their customer services re the reduction in booze offerings. She took a photo shot of this and said they had got it wrong, however in the circumstances we could have whatever we wanted from the bar at no charge. She also advised that we have the same conversation with the purser on our return, and hey presto…open bar. Another pleasant surprise, while no fast track in Buenos Aires, we were given lounge passes, again without having to ask…I didn’t even know they had a lounge available there. It was great to get he deal we felt we had booked, but in future I know these perks are gone with Norwegian. We would most definitely still consider them if the fare was right on a route we were pricing. The premium seat and cabin were excellent, meals adequate and the crew…simply outstanding. More attentive than many other airlines. Let’s hope Norwegian gets through its financial challenges, because it certainly has the kit and the people to make a great airline. We have mid-April premium tickets that we purchased about 6 months ago – the flight was originally from OAK to LGW, but it has been switched to leave from SFO instead. Wondering about the lounge situation – there’s no word as to whether Norwegian has arranged for a lounge at SFO (they said in January they would have something in place by March, when flights commenced). Anyone have info on a lounge at SFO?